I am utterly in love with and obsessed with blue knitting at the moment. I suppose this is a good thing, having just gone through a spate of dyeing everything I could get my hands on blue. The Betsy Blue superwash merino I posted about earlier this week is now on the way to becoming a pair of Basic Fingerless Mitts. I love the pattern and this yarn, Wool2dye4's DK Weight Superwash Merino, is perfect for it. I've not dyed it before but had a skein that had been sent as part of a trade and am impressed with both the pattern and the yarn. And still more blue. 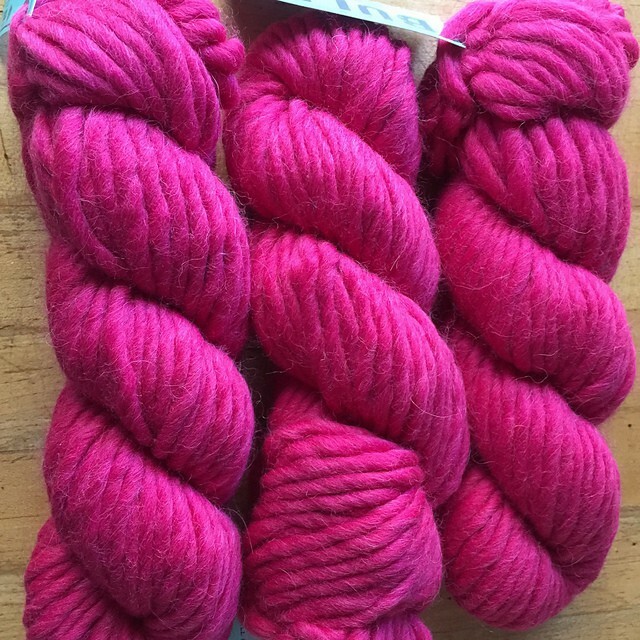 Recently, I've discovered the fabulous indie dyer who makes Plucky Yarns. I love her yarn with all of its beautiful, subtle colors. And when she offered blues for sale this morning, well, I was forced to order one of her lovely cashmerino blends in….blue. (Yes, I know. I dye yarn. I dye blue yarn. I have lots of yarn on hand and lots of it is blue, but there is just something about Plucky Wool and her beautiful BLUE colorways that meant I couldn't help myself). And lastly, this yarn for blue. I do realize that it is pink at the moment. Honestly I do. But I was so taken with my friend Helen's yarn, (overdyeing discussed in the last post) that I've purchased this lot to dye for myself. The content of Helen's yarn was very different, with a lot of silk in it, so I'm not expecting the result here to be quite as intense, but, well, it will be blue. And right now, that seems to be all it takes to make me very happy. ← What Travels With Me? Blue usually makes me serenely happy.